Breakfast available from 07:00 to 10:00 on weekdays and from 07:30 to 11:00 on weekends and public holidays. Dinner menu available from 18:00 to 21:30. 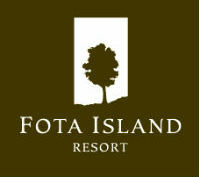 The Fota Restaurant is a fine dining venue, with a freshly prepared buffet breakfast and an extensive à la carte dinner menu. The outdoor terrace of the restaurant is the perfect place to enjoy balmy summer days. Our menu has been inspired by fantastic local ingredients, to service the culinary needs of our guests while showcasing some of the excellent produce the locality has to offer. A really good meal in a great environment and with friendly service.